MARVEL and EPFL have organized the first edition of a two-week summer camp for high school students destined to graduate next year, in which 13 of them could learn the basics of programming to study materials. Students, organizing team and instructors of the 2018 summer camp. The summer camp took place from June 25 to July 6, 2018 and was open to all high school students aged 16 to 19 in French-speaking Switzerland. The EPFL high-performance computing team SCITAS was enthusiastically involved in the organization, and provided both facilities and instructors. The scientific content was overseen by Jean-Luc Desbiolles (SCITAS) and Michele Ceriotti (MARVEL). 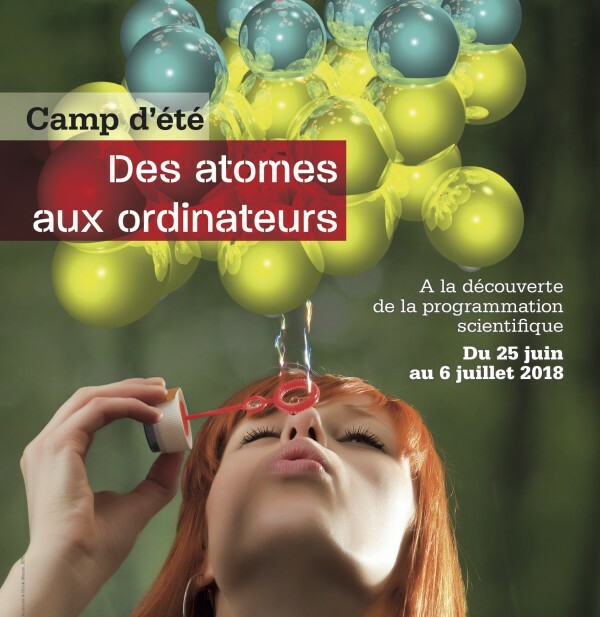 The promotion of the camp benefitted from the previous help of the EPFL Study Programs Promotion Service. 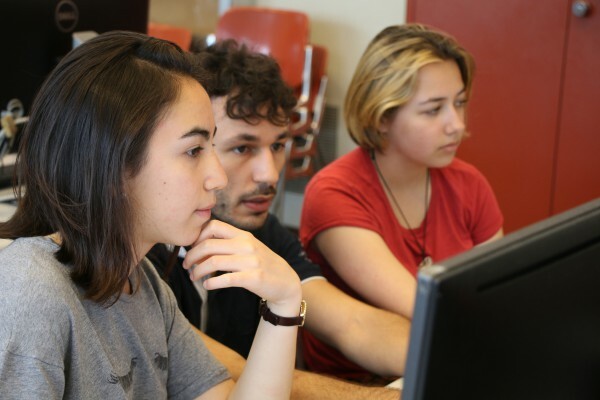 No prior knowledge of informatics was required: in fact, during the first week, the students were introduced to the fundamentals of programming. This included basic concepts of Python and Jupyter Notebook, followed by the key physics principles and methods necessary for the students to tackle their first hands-on exercises related to materials science. These applications dealt with the simulation of phase interfaces with a cellular automaton, the simulation of molecular dynamics, as well as machine learning for materials. The second week of the summer camp was devoted to the realization of a concrete project, proposed by the teachers or by the students themselves. These projects were carried out in groups of 2 to 4 students who were coached by MARVEL PhD students and postdocs. The students then had the opportunity to present their project and results on the last day of the summer camp. In addition to the time spent on the computer, the students visited various laboratories at EPFL, as well as the Paul Scherrer Institute. The feedback from the students was overwhelmingly positive. Despite finding the topics and exercises challenging, a large majority of the participants enjoyed the opportunity to learn so many new concepts and to get a first glimpse of the research world through the lab visits and the interactions with PhD students and postdocs.